Your company stock comprises of your own manufactured products, products used to run your services, down to raw materials used to produce your products. To ensure your company runs efficiently, there must be stock control involved in all items mentioned above. Thus, you need a proper system like BMO Online Management System to track stock deliveries to multiple branch location and monitor stock levels. You can view stock issue list in BMO Online Management System by following the steps as shown below. 1. 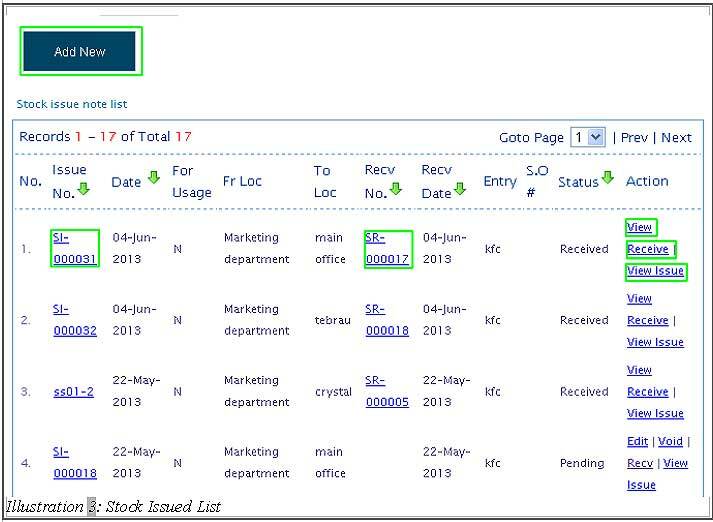 Click on “Stock Issue List” (Item > Issue > Stock Issue List) on the navigation menu bar. 2. In “Issue”, user can search by “Issue No”, “date” which is the date range of when stock issue note is created and to the current date. You also can use the “Calendar Icon” to choose the date. “Recv No” applies the similar functions too. Moveover, user can search through “Recv No”, “For Usage”, “Location” (to and from), “S.O#” and “status” filters. On the above, user either choose one of it to search the issue and click on “Search” to search. By clicking “Reset” button to reset the search/refreshing the page. 3. On “Add New” button, you will be redirected to New Stock Issue, “For tutorial go to How to create a new stock issue”. 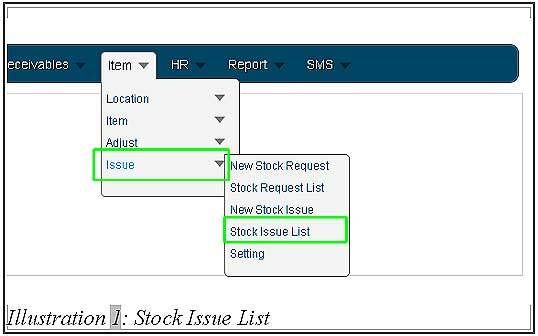 As for the “Stock issue note list”, you are able to view the stock issued note by clicking on “Issue No.”, “Recv No.” and in the Action column, there is “View Receive” and “View Issue”. Both will be displayed as Stock Receive and Stock Issue respectively.